(1 ) The Northern Belle was a 75-foot fishing vessel that went down in the Gulf of Alaska on April 20 2010. Three of her four crew were rescued alive; her captain, Robert Royer, who placed the Mayday call, tried to jump overboard but wasn’t able to get clear of the tangle of gear, hit his head on a large metal pump, and didn’t re-surface. Some time later, his body was seen floating face-up. The captain’s cocker spaniel, Baxter, also went down with the vessel. 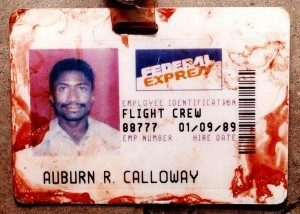 (2) On April 7, 1994, a FedEx employee named Auburn Calloway tried to hi-jack Federal Express Flight 705 from Memphis to San Jose. Calloway, who was about to be fired, boarded the flight with several hammers and a speargun concealed in a guitar case. He planned to crash the aircraft hoping that he would appear to be an employee killed in an accident, so his family could collect his life insurance. But the crew fought back, subdued Calloway, and landed safely. (3) Betty Ong was a flight attendant on American Airlines Flight 11, the first airplane to be hijacked during the September 11 attacks. Shortly after the hijacking, Ong notified ground crew of the hijacking. She reported that none of the crew could contact the cockpit nor open its door, a passenger and two flight attendants had been stabbed, and someone had sprayed mace in the business class cabin. (4) On August 10, 2018, a Horizon Air Bombardier Dash 8 Q400 was stolen from Sea–Tac airport in Washington, by 29-year-old Richard Russell, a Horizon Air ground service agent with no piloting experience. Friends described him as “a quiet guy” who was “well liked by the other workers”. Around one hour and 15 minutes after takeoff, Russell committed suicide by intentionally crashing the aircraft on a lightly-populated island in Puget Sound. No explanation for the incident was found. (5) On September 27, 2018, crew member Franklin Freddy Meave Vazquez, 27, went berserk on the fishing vessel Billy Haver when about 55 miles off Nantucket, Mass. He assaulted a crew member with a knife in one hand and a hammer in the other, Vazquez then struck a third colleague before he was chased up the mast in an attempt to avoid capture, He was charged with murder and attempted murder. No-one knows what sparked the attacks. (6) Not actually a Mayday call…. on the taxiway, a German Lufthansa pilot is annoyed that maintenance have left the gas tank door open on his plane. Rather than wait for the ground control crew to come and close it, he gets out of the cockpit to do it himself. 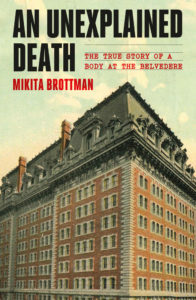 This was written by Mikita. Posted on at 12:28 pm. Filed under Black Box call, black box recording, Mayday call, recorded conversation. Bookmark the permalink. Follow comments here with the RSS feed. Both comments and trackbacks are currently closed.